Ali Yakubu, a popular sports trainer from Cape Coast is in the news. The Juvenile Soccer Coach has Good news for his academy, fans and friends. 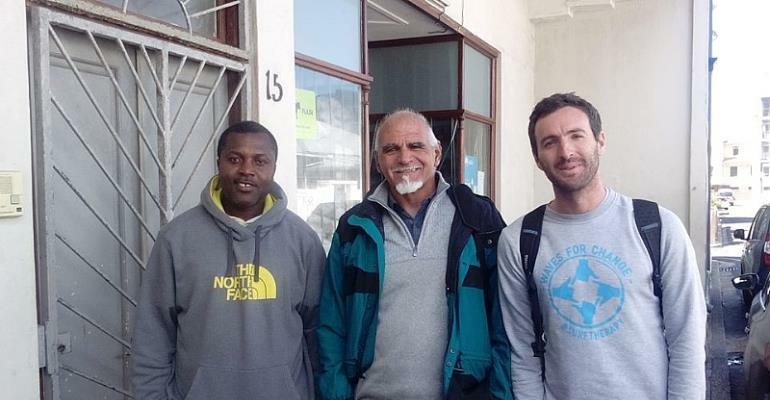 The good news is that Ali is now in Cape Town, South Africa for a surfing workshop. He was invited by an international surf organization called "Waves for Change". The juvenile Surfing and Soccer Coach said People from around the world met for this special workshop. He said a sport like surfing will do well in Ghana, because the kids on the coast love it.